Now is your chance to start #livinglikeaBosch with the MAU team in Florence, KY. Come out to the 4.6.19 Bosch hiring event for your chance to join the MAU team as an Assembler. 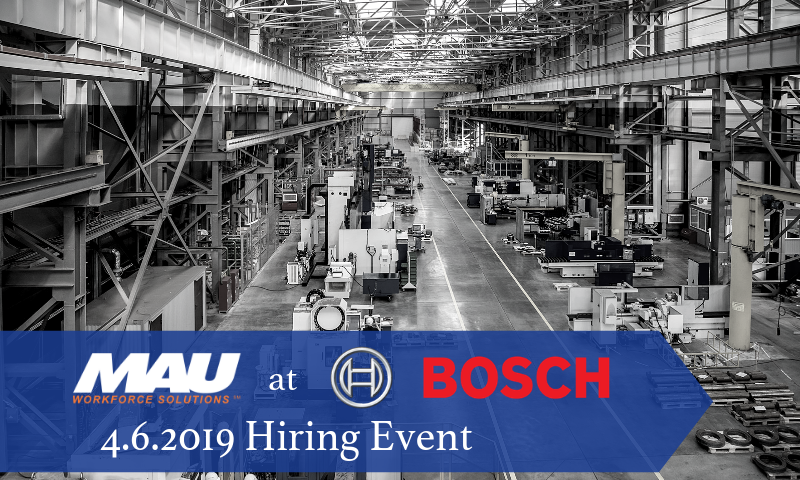 Attend the MAU at Bosch Hiring Event on Saturday, April 6, 2019 from 10:00 AM to 2:00 PM for the opportunity to join the team as an Assembler. 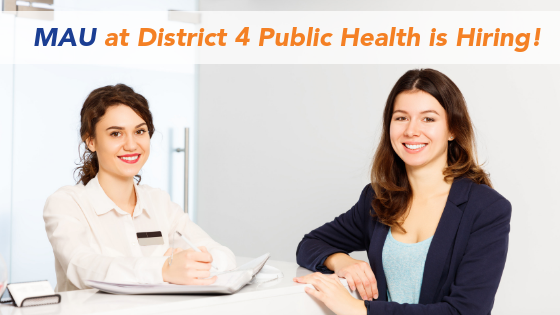 The hiring event will take place at the Hampton Inn & Suites located at 275 Columbia Street, Newport, KY 41701. 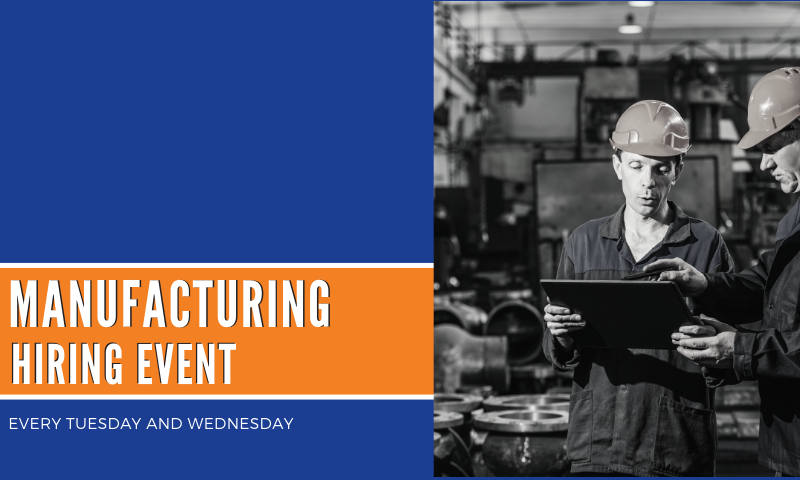 This is your chance to work at one of the leading suppliers of automotive and industrial technology, consumer goods and building technology in the world! 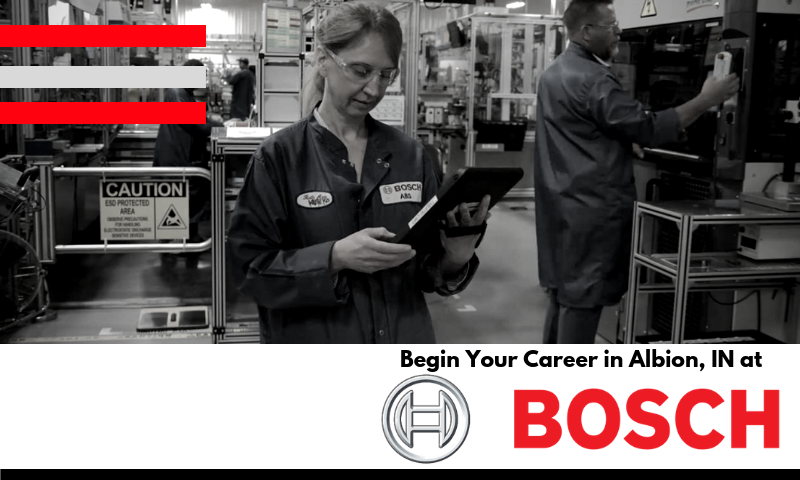 For more information about the Assembler position with MAU at Bosch, click the button below! 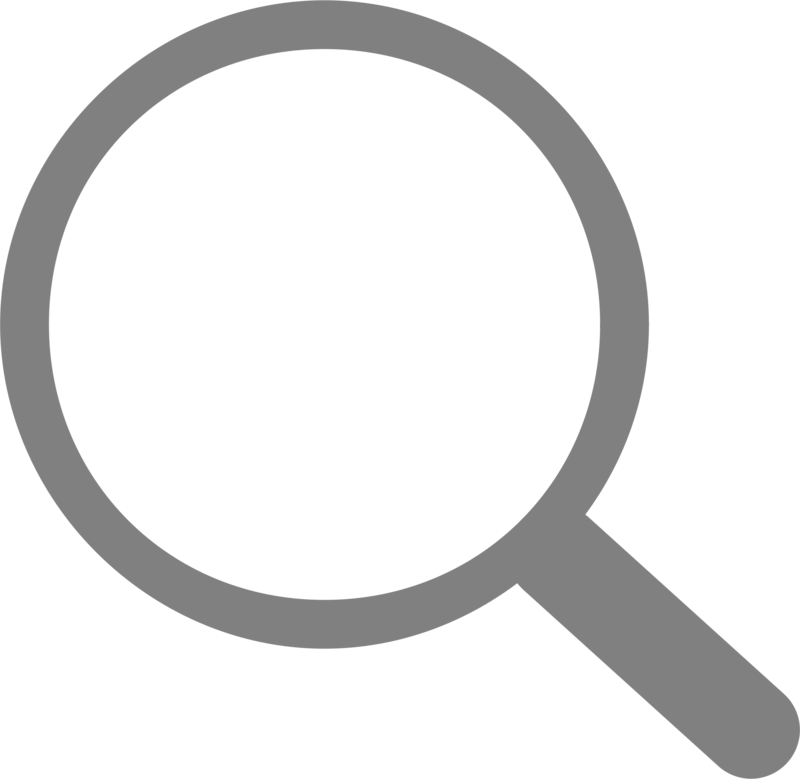 MAU Workforce Solutions is an innovative global company with extensive experience providing solutions for success in staffing, recruiting, technology and outsourcing to our clients, employees and applicants. Headquartered in Augusta, GA since 1973, MAU is a family and minority-owned company offering better processes and better people to create efficiencies and greater profits for our clients. Our relationships with world-class companies, our training programs and our culture of family allow MAU to offer better results, better jobs and better lives to those who work with us. For additional information about MAU, visit www.mau.com.